Chelsea have reportedly held talks with three separate parties as it’s claimed that Roman Abramovich could green light a £2.5bn sale. 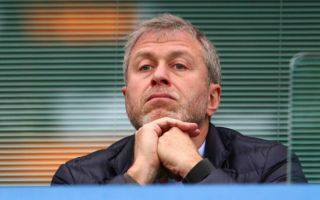 The wealthy Russian businessman has transformed Chelsea into a European heavyweight since buying the club in 2003, with BBC Sport reporting that he did so for £140m. However, things have become increasingly complicated for him after being denied a visa in May last year, which has resulted in his absence for games at Stamford Bridge. The Daily Mail note that he is continuing to invest significant money into the club, with the total debt owed to him by the parent company now at £1.25bn. That explains the valuation touted above to an extent, and it’s now suggested that there are three interested parties who have held ‘exploratory talks’. It’s claimed that US and Asian-based finance groups as well as Britain’s richest man Jim Ratcliffe are all interested in the acquisition of Chelsea, but it remains to be seen whether or not the suggested talks will result in an agreement to bring an end to the Abramovich era in west London. It certainly seems as though that’s the direction in which Chelsea are heading, and perhaps fresh impetus and investment is what the club needs moving forward to re-establish themselves at the highest level having dropped off this season. Defeat to Liverpool on Sunday was a blow to their Champions League qualification hopes, although they remain in the hunt for the Europa League as Maurizio Sarri hopes for a positive end to the campaign.